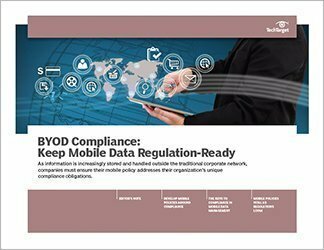 As bring your own device (BYOD) becomes the norm at many organizations, the generation entering the workforce expects to do their work on any device they choose, using whatever applications they deem appropriate. Call it the bring your own anything (BYOx) era. 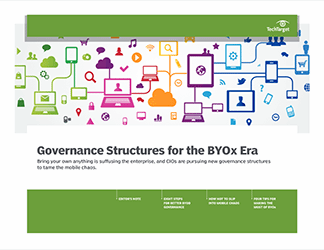 In this SearchCIO handbook, we assess the landscape and determine which governance structures work for reining in the potential for mobile chaos. 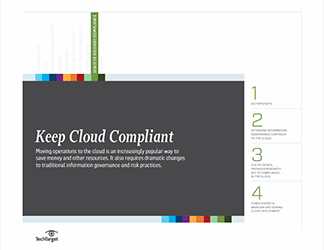 In our first piece, CIO expert Harvey Koeppel contrasts pre- and post-BYOD adoption mind sets and provides an eight-step roadmap for safe, effective mobile governance structures and policies. 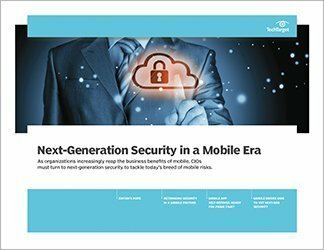 In our second piece, mobile consultant Bryan Barringer lays out the fundamentals of forming a mobility governance team and conveying new governance structures to the rest of the organization. In our third piece, CTO Niel Nickolaisen takes us through his journey from a BYOD denier to BYOA proponent.